If you know me, you’ll know Blank Canvas Wedding venues are my favourite. Which is why I couldn’t wait to chat with Courtney of Blank Canvas Venues and drill him with all my questions about working with unconventional wedding venues. 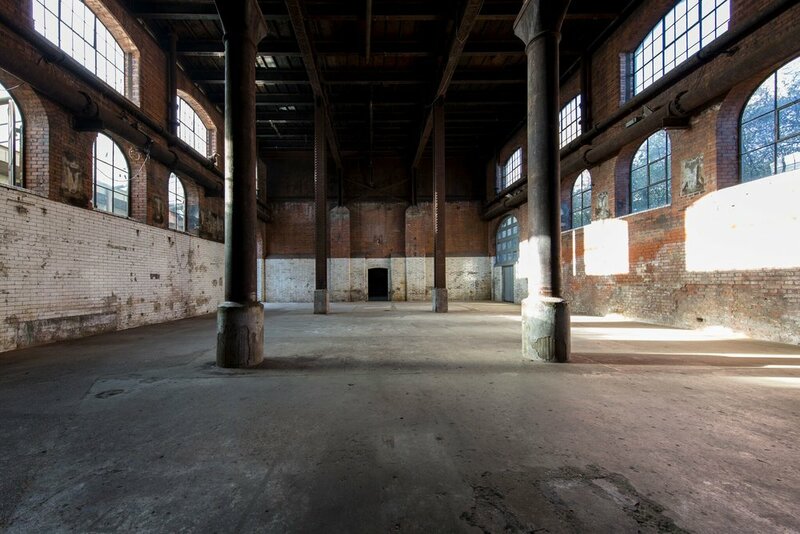 Courtney started Blank Canvas with a vision to convert disused industrial space into events venues. With a background in real estate and property development he began approaching landlords with proposals to generate income from their empty spaces. Blank Canvas quickly built a reputation for itself among landlords and as the portfolio grew so did the variety of events it could cater for. Fast forward several years and Courtney has built a portfolio of over 15 venues and a team of experts covering everything from event management to plumbing. Blank Canvas’s vast portfolio includes venues of all shapes and sizes, including disused power stations, churches, warehouses and some VIP spaces. The portfolio and his team's experience mean Blank Canvas can deliver any kind of event, from fashion launches to weddings. Tell us about your venues. What kind of spaces do you have on offer? We currently have 13 venues with capacities ranging from 75 - 800 but we're adding to our portfolio all the time. Our venues are all blank canvases, many with an industrial feel, so the bare bones of our buildings need to be something really special. We want people's jaws to drop when they walk into one of our spaces as they realise its potential. What are the benefits of hiring a Blank Canvas venue over a more traditional venue in your opinion? We find with many traditional venues the list of what you can't do is longer than the list of what you can do. We are the Yes people!! Your wedding day is obviously one of the most important days of your life and with our venues your wedding can be whatever you want it to be. How would a couple go about choosing the best Blank Canvas venue for them? Browse the website, then speak to a member of our team. They know our spaces inside out and they’re a terrifically creative bunch of individuals. They will know what questions to ask you to help guide you to your perfectly-matched venue. Any tips for planning a wedding in an unconventional space? Think logistics. When couples walk into a space and fall in love with it, it’s all too easy to forget to ask the questions that really matter. Is there a noise curfew and can it be extended if desired? How well connected is the venue in terms of public transport? Are there any power or water supply limitations? But that said, by far and away the most important thing is to make sure you've got the right catering partner. Thankfully we've built up a network of some of the best in the business, so you can be sure the food and drink will exceed your guests’ expectations. What's the most exciting wedding you've seen in one of your venues? We hosted a summer wedding Canvas One this year. With a reasonably small budget the couple transformed the courtyard using simple furnishings and wild foliage, which worked so well with the industrial backdrop. It was testament to what you can do without huge resources and a little creativity. What do you love most about working with blank canvas spaces? It's when the penny drops for a couple that they can pretty much do anything they want with the space. Second to that is the moment the venue is ready for the big day and they have realised their vision. It's such a humbling experience to know that our venues have been an integral part of that. What's one thing that couples always forget to source for their blank canvas venue wedding? Fridges and chill bins! Ensure there are enough fridges/chill bins for the drinks as no-one likes a warm white wine! Final parting words of wisdom? It’s the little things that make a wedding memorable. Get on Pinterest and do loads of research for details that fit your theme and will show your friends and family how much you appreciate them celebrating with you. It doesn’t have to cost a fortune but will make a big difference to the overall look and feel of your day. Thanks Courtney for sharing your wedding venue wisdom with us! If you’re on the hunt for your own wedding venue, I have another blog post full of tips for working with a blank canvas venue, and of course don’t forget to check out Blank Canvas - you might find your dream space.